It's that time again, Bout of Books. From Monday August 17th to Sunday August 23rd is the Bout of Books 14.0 read-a-thon. Long time reads of TLD may remember that I have a bad track record with read-a-thons (see . . . my previous blog entry): when you are a grown-up-adult-working-lady, there any many other commitments that eat into your reading time. For people like myself, people who have to pay for insurance and put in a solid forty hours a week, Bout of Books is a more forgiving challenge: no insipid challenges, no aggravating "reading challenges," no shrill hosts, or any asinine videos squee-ing about binge twelve hour reading sessions. This, dear readers, is a read-a-thon for all people, even grown people. 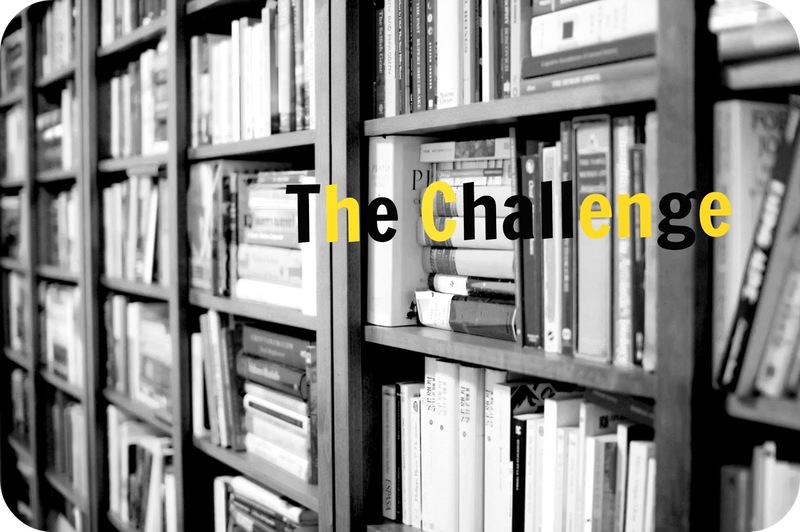 As such, I am affirming my participation in Bout of Books 14.0 week-long reading challenge. 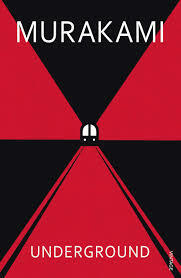 I am 2/3 of the way through Murakami's look at the 20 March 1995 sarin attack on the Tokyo subway. As much as I enjoy Murakami's fiction, I enjoy his non-fiction almost as much. This book is at both captivating and deeply disturbing. I will do a proper review on this one when I complete it. As yet I am about 100 or so pages from the end and shouldn't struggle to complete this book by midweek. I'm listening to this one on audio book. I am only reading this one because I resent the idea of being left completely behind on this protracted cultural moment. Also, I have a goal of "reading" five audio books this year. I doubt that I would have chosen to read this book otherwise I have this one on my iPod and listen to it during my commute or during my prep period at work. Currently, I am bogged down about a 1/3 of the way into the book. This. Is. The. Book. That. Will. Not. End. Hilfe! This is a recent acquisition that was inspired in large part by a cadre of BookTubers who have sung the collection's praises. 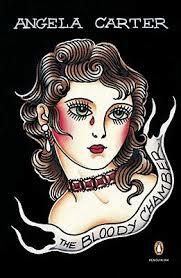 For those unfamiliar with Carter's work, The Bloody Chamber is a set of fairy tale retellings that are decidedly sinister in tone. 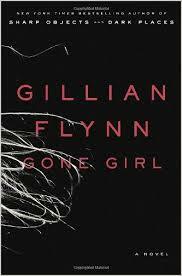 The book is relatively short and seemingly episodic, so it is formally well suited to read-a-thon reading. This is another recent purchase of mine. 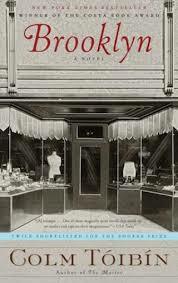 I bought this book primarily because the film adaptation comes out in the fall and the trailer was rather appealing. I'm the type of person who likes to read the book before seeing the movie; I like to have a lot of well-informed reasons to hate the adaptation. Simply put the book is about a young Irish woman who comes to America a falls in love. Just as her American life starts to look up, she has to return to Ireland because of a family emergency. The young woman then has to choose between her old life and her new one. I'm hopeful this won't be too treacly or "You drank da moonay, Da! "-type depressing. 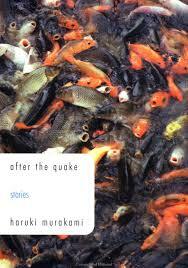 This is a collection of Murakami’s short stories that are set around the 1995 Kobe earthquake in Japan. I love Murakami a great deal and short stories are well suited for the type of episodic reading during stolen moments that a read-a-than entails. Also, since I am also reading Underground, it makes sense that I would read the other book Murakami wrote about the dual tragedies of 1995. Right? Right. 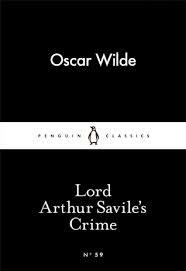 I have long been an Oscar Wilde fan and, a few weeks ago, when I bought my first “Little Black Classic,” a series of slim volumes meant to celebrate Penguin’s 80th anniversary, I picked up this little gem from the Book Depository. This small collection is about seventy pages in length and should read very quickly; if I am lucky I may be able to read this in one marathon sitting. If I like the format of this one, I may pick up a few more in the series. As I move through the week, I will try to keep everyone updated about my progress. I am working two evening shifts at the library this term and should have some quiet time on my hands to do some lesson planning, writing, and reading. P.S. If any of the books on my TBR catch your fancy, please feel free to use my Book Depository affiliate link [in the right hand column] to make your purchase . . . which will keep me in reading material and blogging fodder.